Qualcomm announced its new flagship Snapdragon 835 processor. 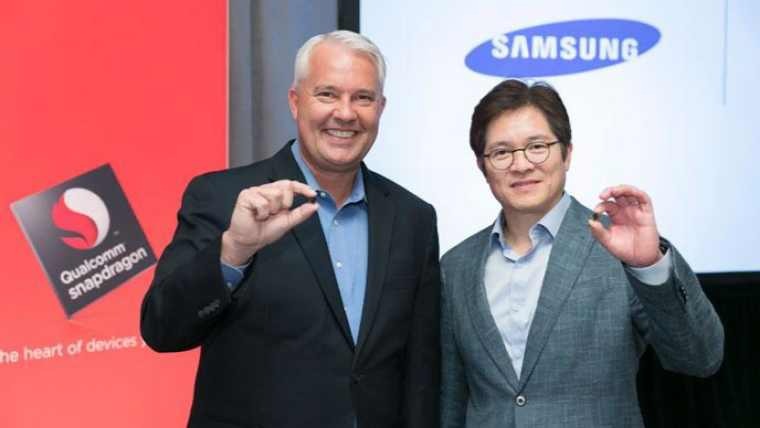 Qualcomm is now using Samsung’s 10nm FinFET process, which promises to “revolutionize mobile tech”. 10nm is the size of a single molecule of water or 1,000th the size of a strand of hair. New CPU is more battery-efficient, smaller in size. Apart from more battery-efficient and smaller size, Qualcomm Snapdragon 835 processor will be 27% better on performance with 40% less power consumption than its predecessor. Current Qualcomm Snapdragon 820 and 821 use 14nm FinFET. For reference, Snapdragon 808 and 810 were 20nm, and Snapdragon 800, 801, and 805 were 28nm. Intel’s Kaby Lake processors also based on 14nm. Intel is planning on going to 10nm with Cannonlake. Qualcomm is expecting launch Snapdragon 835 processors within the first half of 2017.